Take advantage of Megan’s unique curation skills to bring new energy into your home or office environment. With careful and considered placement, artwork has the ability to transform any space, regardless of the size. 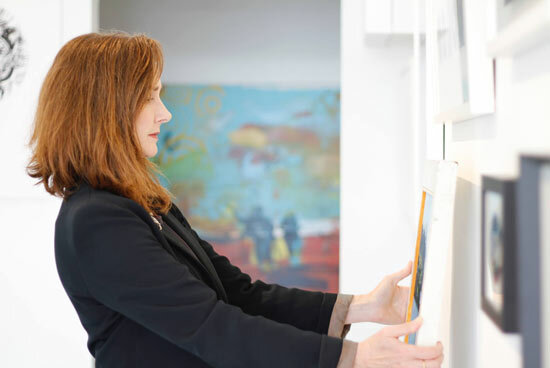 Megan’s professional curation service will establish new connections within your existing collection, or with the addition of new works, a new dynamic combination can be created. Megan’s wealth of curation knowledge can assist you to establish a collection of artworks that reflect your personal taste. Through this process, Megan will help build your confidence in making future additions to your collection. Always wanted to create a ‘picture wall’ and just don’t know where to start? Megan will walk you through the process of selecting and combining all genre’s of art to create a dynamic display. Perhaps you already have an existing ‘picture wall’ but are not completely satisfied with the look? Megan will assist you in reconfiguring your existing collection to create the desired outcome.